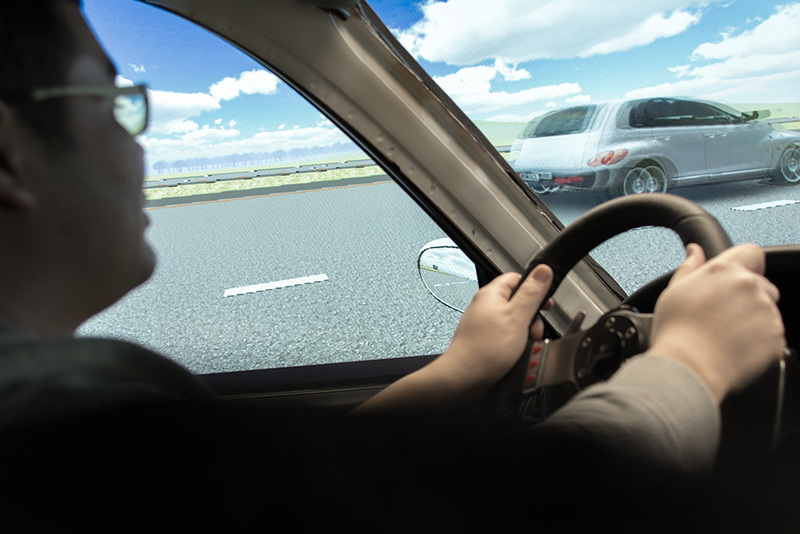 As a part of an interdisciplinary collaborative study with the transportation research group (ZouSim) at Civil Engineering Department, this project synthesizes the advantages of virtual reality and driving simulators to assess and analyze the driver behavior and J turn design configurations. Based on road design documentation and real traffic data from US 63 stimulus for different driving scenarios were developed. Then, those conditions are tested in a lab installed Toyota Corolla in front of three angled big screens.